The ASPAC Group at the Valencia City Hall, together with Mr. Jose María Chiquillo (Deputy for Valencia). 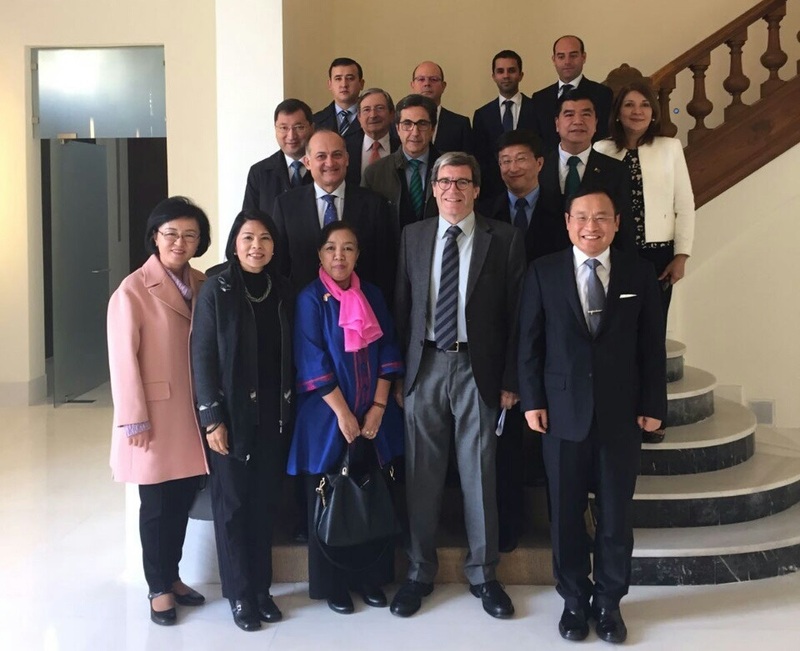 The Heads of Post of Madrid-based Asia-Pacific embassies (aka The ASPAC Group) conducted an official visit to Valencia, Spain, last 24-25 November 2016. The visit was spearheaded by the current chair of the ASPAC Group, H.E.Bakyt Dyussenbayev (the Ambassador of Kazakhstan), in coordination with the local government of Valencia. 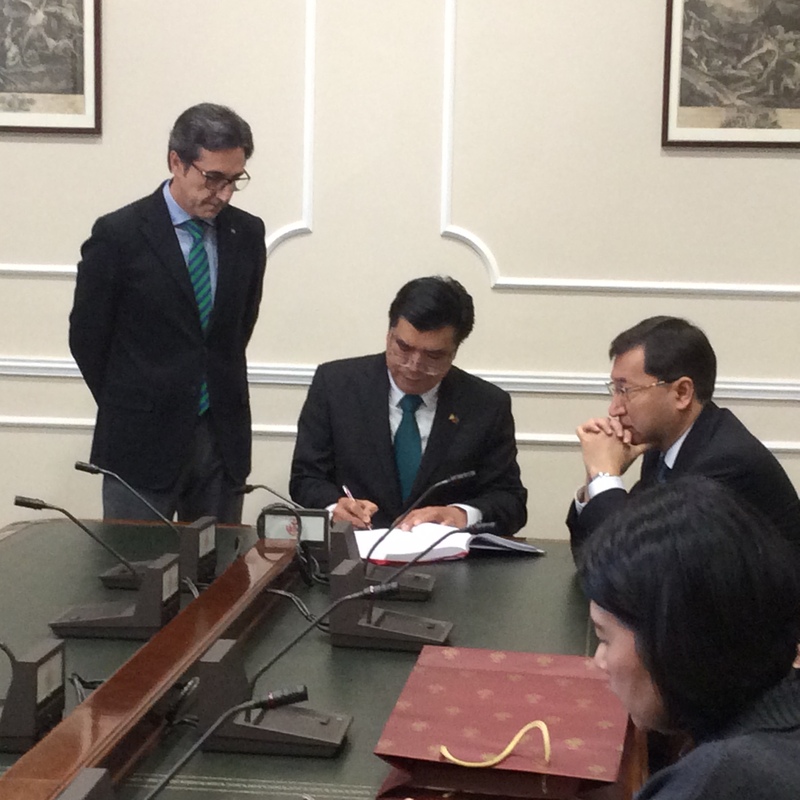 The aim of the visit was to enhance the relations between Valencia and the countries of the Asia-Pacific, especially in the areas of tourism and trade. Post´s Charge d’Affaires, a.i., Consul General Emmanuel R. Fernandez, represented the Philippine Embassy during the visit, along with the Philippine Honorary Consul in Valencia, Mr. Manuel Carrion. The following day (November 25), the ASPAC Group met with the President of the Valencia Chamber of Commerce, Mr. Jose Vicente Morata, and the members of the chamber´s executive committee. Mr. Morata, among others, spoke of Valencia´s desire to look beyond its traditional markets (namely, Europe and Latin America) and explore other regions. The ASPAC Group discussed the investment climate and opportunities in the Asia-Pacific Region, and urged the chamber to encourage its members to closely consider their countries as investment and tourism destinations. The ASPAC Group then proceeded to the Valencia City Hall for a courtesy call, as well as to sign the condolence book for the former mayor of Valencia, Rita Barbera, who passed away a day before their visit. CDA Emmanuel R. Fernandez signing the condolence book for former Valencia Mayor Rita Barbera, who passed away a day before the ASPAC visit. The Group then met with Valencian port authorities, headed by Mr. Aurelio Martinez, at the latter´s office. After listening to a presentation on the structure and management methodology of the Valencia Port, the ASPAC Heads of Post discussed with the port officials how the flow of exports and imports between Valencia and their respective countries could be further enhanced, as well as how the latter could learn from the best practices of Valencia in the area of port management. 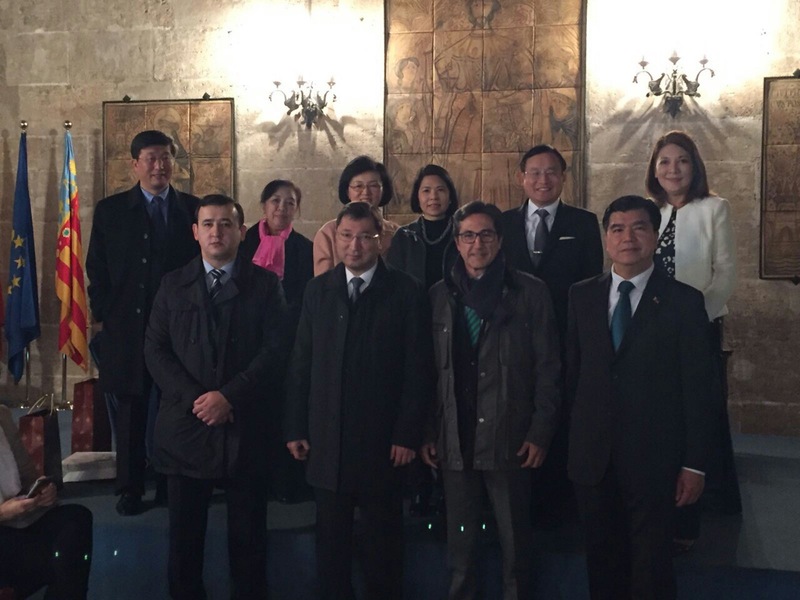 The visit was capped by a reception hosted by the tourism authorities of Valencia for the APAC Group.